My 9yo son can’t get enough of your videos!! He is insatiably curious, and I haven’t been able to satisfy his curiosity till now. He watches about 5-6 lessons a day, then rummages around the house looking for stuff to replicate the experiments. He has made a rocket which lights up(with wires and lights from old toys) and is now constructing a launcher. And I just found a volcano he’s building out in the garage. (Please excuse the mess in the background). My husband, who has 2 degrees in mechanical engineering says Luke is learning stuff he doesn’t even know. We all enjoy learning from your videos. Your enthusiasm is contagious. I just bought a full year e science k-8 for my 2nd grade son. I home school and we do science LAST to encourage him to get the other subjects done faster and with some degree of cooperation, so he has more time for science in the afternoon. The other subjects are like vegetables and e-science experiments are like candy. Prior to home schooling, I was an analytical chemist for 20 years so I recognize the quality, creativity and planning involved in your experiments. Although I’m extremely well versed in science, and was a private tutor for high school and university level courses, I could not even hope to match the quality, depth, breadth, logical presentation sequence and organization of e science and still somehow actually have a life. E-science saves me enormous amounts of time planning lessons and frees me up to do other crucial things like scrub toilets and retrieve tiny Star Wars LEGO pieces from the vacuum. I plan to invite other homeschool families over to do science I ewith us so they can see the beauty of it. I just wanted to thank you for your awesome work! My twin girls used to hate science. They were getting D’s and F’s, no matter how hard they tried. As a result, they had grown to despise anything science related. A while back, I came across information about one of your online science classes. My girls were not happy when they found out that I signed them up! So, they grumbled and complained as they got their laptops set up to sign in to the class that day. Within minutes of the class, their eyes got big, they were glued to the screen, and one even kept yelling, “I love science now!” . . throughout the WHOLE class. My husband and I couldn’t help but giggle about the girls’ newfound love! Our girls mostly homeschool, but attend a private school two days each week. They started your classes around the same time that their school started second semester, so it was a fresh start with grades. Now, they are getting A’s and B’s in science! Their teacher and principal even called to ask what prompted this sudden change in the girls’ grades and desire to learn! So, thank you so much for offering your amazing skills to our kids through your classes and resources! You truly have a special talent for engaging kids, meeting them where they’re at, and instilling a drive in them to challenge themselves. Not many people can do that with such ease as you do! My kids are enjoying the math DVD that I bought last year. They’re also having a great time with the free online classes you offer. They fit into our schedule better now than trying to fit something in on my own, despite owning several of your other DVDs. Thank you for all of the emails, there is always something for my kids to learn! I just thought I would share with you that my very-high-energy 5 and 6 year-olds sat absolutely transfixed by your presentation today for the *entire time* (they actually cried when I had to shut it down at the very last, because my phone battery was going dead … I had to have them watch it on my cell phone, since I couldn’t get our home firewall to cooperate 🙂 ). Anyway, my 6-year-old loves making things from “trash” (he just so happens to have the job of taking out our recycles, which I sometimes wonder if it is a mistake to have him on this job, as he tends to drag half of the stuff back in “for his projects”, lol). He also loves motors, so he is super excited about building robots. We also love to see that you are working together as a family in the business–that is our dream also. I have been following you for more when a year now, and watch your free videos. I would like to express my gratitude for a amazing job you are going! I am working in Central Wisconsin Children’s Museum for about a year and a half and watching your videos and listening to your simple clear explanation of science experiments give me the courage to try and start a science program for toddlers . We named it STEM Sprouts and children join us for this program ones a week free of charge. Most amazing discovery I made so far is that science has no age limits! 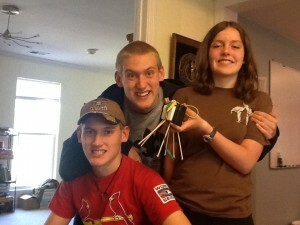 This weeks lesson was: make your own ballbearing bug( based on your lesson – ballbearing bobsled) and it was amazing ! My toddlers were thrilled, and so were their parents! We are non profit organization and serve a pretty small community of Portage county and all levels of income. The gift you gave me will keep on giving ! I am very grateful! In the following next e-mail are photos from our Ballbearing bug lesson. My children (grades K, 2, 4, 6, 7 and 9) watched your robotics class (without me) and loved it! My 9th grader has been tortured this year with a biology course, which has sapped her love of learning. She refused to sit through your class (but I made her ). When your class was over she was beaming! They excitedly recounted what was learned. I especially loved the free time it afforded me as well as the work sheets you prepared for the class. They all begged me to take you up on your offer and I did. I can’t wait to purchase the parts to work on the experiments! Thank you for a science program that engages and inspires. We’re doing well… grand kids love the experiments. Experiments are like pictures, and they’re worth a thousand words…. at least. My degree was in Chemical Engineering, but I actually had a tutoring and counseling service in Beverly Hills for 35 years, so I really do appreciate your work, and enjoy watching (analyzing 🙂 ) your teaching style. Excellent. I know that my thoughts and feelings aren’t what your goal is… But… I really want you to know that your emails have really helped me create the relationship I want with my children. Not only is it fun spending time together doing it, it is educational and building a good foundation for them to begin to build their lives on. Thank you for the great activities to partake in with my children!!! My daughter won 2nd place in her 6th Grade class. She did the Light Speed in a chocolate bar. Thank you sooooooooooooooo much. They learned lots and we are so proud of them. 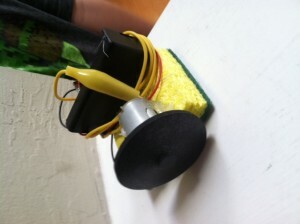 Hey Aurora: My kids used your projects and worked very hard. It paid off and my son, who did the crystal radio, won 1st place in 8th Grade and 1st place overall the whole middle school. “Aurora, Just wanted to say thanks for making science my son’s favorite part of the day. 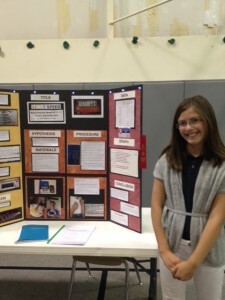 As homeschooler’s my son is not afforded the opportunity to compete in the science fair. Our homeschool group put together a fair of our own. There wasn’t any competition per se, but each child completed a project to present to the other children and their parents. I love that you are such a great role model and inspiration for my science-loving girl! We have been using the mastery program for a few months now. We have used so many different science curriculum that made my children groan when it time for science class over the years. I was hesitant to put out such a large amount not knowing if it would be one more curricula that would end up on the unused shelf. I am so glad we went for it! 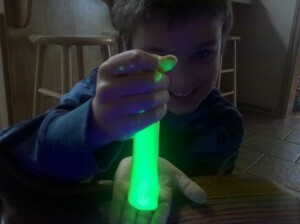 My son, who just wants the school day to be over with most days, does the experiments in his free time! He is back from lunch early every day and before lunch is over, he is grabbing my prepped materials basket, setting the supplies out and saying, “MOM! It’s time for science!” My daughter, who has never been a fan of science, is enjoying science class for the first time (with the exception of the dissections we did). For my part, I get to teach science with all the enthusiasm that I have always felt, but been unable to share when using text books that meet the “standards”. Thank you for being different from everything else. You are exactly what we needed in our class! Thanks for checking in. 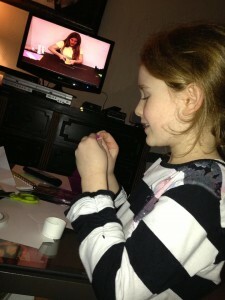 My Science loving daughter has been enjoying e science and has jumped right in to the experiments. She is able to go on herself, watch the videos and perform the experiments with little help from me. What a great website, with a great deal of info. Yes! We did get our Shoestring Budget Science DVD! Thanks for asking and making sure that we did. Your customer care is incomparable! My oldest, who is in Grade 12 is impressed with the list of topics at the back of the DVD. He said it’s not the run-of-the-mill science experiments, and this is coming from the science geek in our family. I actually got it for my youngest, who is almost seven years old, but we have not started it yet because at present he is still very much into animals, their habitats, and their geographical locations, etc. But my oldest is a great fan of yours. He loves your passion for the subjects that are closest to his heart, namely math and science. And he said he enjoys the animated way you teach these topics, and I love the way you explain very difficult concepts and make them understandable for math-and-science-challenged people like me. You are also able to explain their applications to everyday life, which was totally missing during my school days. You are truly an amazing teacher! We are so blessed your dedication! May God bless you and yours a hundredfold! I think that you need to read this Prompt Essay that my son Amos wrote about you as one of his favorite scientists! Every time my mom checks her email, I come to see if she has any mail from one of my favorite scientist, Aurora Lipper. I have been enjoying her program for almost three years now. I try to attend every science cast that I can. Even though I miss some of them, I learn something new each class when I attend. I also watch every video that she sends us. One of the main reasons that I enjoy her program is because of my love for science. I like robots and circuits, so I love her electricity section. There she shows step-by-step instructions on how to make many robots and circuits. My favorite robot is the bumper bot. Which is a three wheeled race car that changes direction when it hits something. Another section I like is “the sound projects”. One of my greatest successes was the singing hornet. I made it and started to swing it around my head. Seconds later it made a humming sound. Then the string broke and the contraption flew across the room making the humming noise. I remade the machine and had it work for twenty seconds. Then it broke and fell on my head. Aurora has many other projects on her site. I will enjoy all of them. But my favorite section will always be robotics. I have tried a lot of the projects and have had some work. The projects that I have made will stay with me forever. Thank you Aurora, for an amazing site! We have opened the giant box and are very impressed and excited about all of the contents! Our homeschool group went to visit Gizmo CDA this week – honestly, I was amazed at how much my kids know from doing experiments. (I didn’t think they were picking stuff up, just having fun.) Really, they understand far more than what the other kids are doing for science from various curriculums. Hey, you asked for some feedback so I figured I would let you know how yesterday went. We have not done any of the lessons we purchased yesterday because I need to get materials together and plan to do that this weekend for several lessons. However, All day and night and this morning that’s all they want to do is science! You have managed to make it not just interesting and relevant, but so much fun! My youngest son just gave a speech in our homeschool community class about being a marine biologist so he is thrilled to have this curriculum. The only thing it lacks is the actual ocean! (We live in South Louisiana so hopefully I can find some other hands on program when we have finished the lessons.). Anyway, I appreciate the opportunity to have you in my home (via computer, lo) and helping mold and shape my boys’ appreciation of God’s design! Thanks a million! You turned my kid into a science lover some time back and yes, he now thinks and observes like a scientist. That’s a life-time gift. Just wanted to let you know that after trying some other science curriculum sites, my 13 year old son chose to use yours! This is a kid who is not interested in much of anything but movies and games. This spoke volumes to me. I am quite impressed with the way you are able to keep his attention. Thank you for all of the free classes and the opportunity to purchase this program for a discount. We would not be able to afford such a great class otherwise! My kids really enjoyed your Marine Biology class that you offered today. I wasn’t planning on purchasing anything but my 9 year old son really wanted me to and my 14 year old daughter also thought she’d enjoy doing your Marine Biology program. So, thank you! We absolutely loved the webinar today! And we are thrilled to have access to the Marine Biology courses… so exciting!! Please keep the excellent topics coming… I hated science until this year. I always dreaded it in school… but I think now, with the hands on experiments, I’m finally starting to understand it. And all the boring “information” comes to life when you see it at work. In our homeschool, your curriculum is such a hit, that I make sure science the last thing we do each day – so the kids will get the other stuff done… LOL. Thanks again! Thanks for the info! I homeschool my granddaughter, Karma, and Science is her favorite subject thanks to your program. Today we watched the astronomy/astrophysics webinar as well as the marine biology one. She’s anxious now to use the laser microscope on everything. My kids loved your marine biology free class and that is why we decided to take this course. We loved the experiments and even my 1st grader was engaged. Thank you. Today was our first time watching your video and I myself learnt so much information and my son loved the experiments. We are LOVING your e-Science so far. 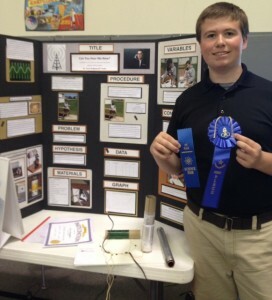 My youngest son (now in 7th grade) hated science… now, he LOVES it! It’s his favorite part of school each day. He works quickly through his other subjects just so he can get to science. What a turnaround in such a short time! We’re still working on journaling (his least favorite part) but he’s coming around. Thank you for offering two other units to explore. My son has expressed a real interest in Unit 8: Chemistry and Unit 12: Alternative Energy. Can’t wait to get started! Thanks so much. Just a note of appreciation. My daughter has dyslexia and finding curriculum that works for her has been a challenge. Since switching to superchargedscience she has fallen in love with learning. It is designed in such a way that she can learn much more independently than she used to which has build her confidence as well. How many 15 year old do you know that get excited about showing off their work to their family each evening. Thank you! 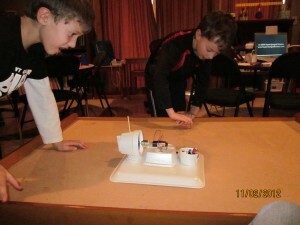 Supercharged Science has given our son enjoyment with a school subject. This is not easily done. He likes exploring the new things to do and I like completing the review questions and learning about science. Thanks for another great product Homeschool Buyers Co-Op! This is our first year using this product. My seven year old is working through the topics in order starting with the scientific method. He begs to do science first every day. The material, videos and experiments are very accessible and engaging. I highly recommend this product. We will continue using it for years to come. Thank you for the program and the way you have designed it. I loved science growing up, but the schools I attended didn’t seem to care about education as much as their athletic program so I was sadly under-educated in several subjects. Thanks to your program I feel my girls will get the science background I wish I had. So far we’ve only done the barrel roof experiment, but they had so much fun they can’t wait to do another experiment. They also love that you have the same name as one of their favorite Disney princesses! Your passion and enthusiasm about science is obvious!I look forward to my kids engaging with your program and am excited about what they will learn! 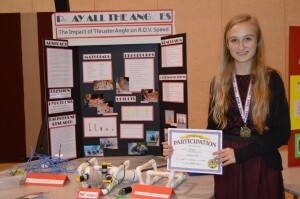 I had to let you know that my daughter came in second place this year at the school’s science fair. The first place winner beat her by 1 point! I’m so thrilled to have your science dvds and youtube quick links. Thank you! You may not recall but last year my daughter placed 3rd. Next year we plan to win! She’ll be in 6th grade and we’ll keep watching and seeking science! My daughter also won an the oratorical contest at her school and placed 3 in the county for a speech that she wrote and delivered on her dream of becoming a scientist. Proud momma I am! Thanks again! Last year I bought your program that has the three subjects of Electricity, Magnetism, and Astronomy. Seeing as it was my first year homeschooling my 13 year old, who had been in special ed in the public schools, I was over whelmed and never even looked at it beyond a glance. We needed to focus on establishing a schedule and finding the core programs that would work for my son. This year as we have figured out a good schedule and what works, I finally looked at your program in greater depth….and “wow!! !” is all I can say. I told myself that if I am going to lengths for these experiments then maybe my son can have a friend over to learn with him. ” What a shame it would be to not share this program!”, I told myself. Well one thing lead to another and we start our second week in Electricity with 10 students! They loved it and want more!!!! I’ve always liked science but this I love!!!! Thank you for such a wonderful program!! We are thrilled with the program so far and my son is most excited about science this year out of all his subjects. Thank you for developing such an amazing program. You really have created something unique and special. be our first. I just wanted to thank you for all the FREE stuff you share. not end up doing something else during it. delivered in such a way as to draw the attention of my youngest. over, they both wanted to another! program, with similar results. So thank you for creating this curriculum. I found Supercharged Science a year ago. I liked the concepts and the experiments looked fantastic, but was a little hesitant about the price. WHAT WAS I THINKING? After mediocre experiments in other science programs, I finally ‘gave in’ and signed up for the eScience summer camp so I could try it out. My kids love Supercharged science and I regret that I didn’t start a year ago. I now regret that we missed a year of awesome, Supercharged Science. We are definitely using Aurora’s program next year and beyond as our main curriculum. I am learning with my kids and we are all have having a blast. I wish all our subjects could be this much fun. Thanks Aurora for being really committed to teaching our kids and bringing us these quality programs in such an easy to use format. This was awesome! It works perfectly for us. My 12 year old is loving this program. It is so much better than the book work we struggled with last year. He is actually choosing to do science whenever he has a chance now that he has discovered what the program has to offer. We found all the parts at home, our local pharmacy and pet store(tubing). Thank you so much for this great program. Thanks, Aurora! I have to say that you have the best ever customer service and I LOVE, LOVE, LOVE calling your number and hearing your cheerful voice and funny wit on the message! Makes my day every time I’ve had to call, which by the way, hasn’t been often. That’s because your customer service is SO phenomenal! “We are into our 2nd week of school and have done science most of those days. My 4 boys (ages 12, 10 and 8 years) are really loving it. What do I like best? Each of my boys can explain the why behind the experiments. My biggest thrill happened yesterday when we did the ping pong ball/funnel experiment. We did the experiment first before watching/listening to you. The boys expected the ball to hover just above the funnel as they blew – of course they were surprised when that didn’t happen! What was my thrill? My 12yo explained the why perfectly! I thought that was so cool!” ~Z. B. “I LOVE THE PROGRAM!!! I love that you have the forethought to give us supply lists. I LOVE that you speak to my kids about atoms, particles, accelerators, generators, nuclear physics, all four types of force and treat them like they are…REAL SCIENTISTS !!!! You are a wonderful role-model for my scientific daughter and son, as well as for my husband and I. You do have a tremendous impact in helping us motivate our learners. “Just wanted to let you know that my boys are so busy, so busy doing all the cool experiments you sent on the DVD. They think this is the best, and have already done the Ivory Soap, the grape, rockets and the house is exploding in stuff they are experimenting with to see what happens. I cannot tell you how happy they are and we will certainly want to continue our subscription for fall. We are doing a one week serious all day fun camp of science, complete with t-shirts and science snacks. That is the reason I purchased the summer program, but the boys are truly enjoying all of this we are going to need to continue. Just thought you would wanted to know how much joy you brought to two little boys in Monterey, California.” ~Christina S.
“I have a very, let’s say, precoscious 5-year-old kindergarten boy. He loves putting things together, taking them apart, and trying to put them back together. His favorite questions is “How.” As in, “How does that work?” “How do I get it to do that?” My family thought I was weird for signing up for a “professional” science curriculum so young – wait until he’s older, they said. I know my son, however, and this was the best thing I ever did for him and my house! “Although he can’t read the material, and even has a hard time understanding some of the information, he LOVES watching the videos and doing some of the experiments. So, if anyone out there wonders if there is a “too young” for this program, tell them NO! Even my 3-year-old likes to “help” with the experiments. Thank you for this wonderful website. My house may stay standing if my boys have something constructive to take apart! “I wanted to tell you that this week we did a week of Science Camp, right here in our kitchen and yard using your e-Science Camp. We invited our sons two best friends, and then another Mom heard about and invited herself to join us! So six kids, your videos, shopping lists and experiments made for the best week they kids have had all summer. “Aurora… Today my daughter (8) did the racer robot from the last week of camp (we are a little behind). The squeals and giggles could be heard throughout the house. The Waterbot from last week is still in the guest bathtub waiting for Grandpa, who was an electrician, to visit later this month. After building the Racerbot, we headed to Target to get the traveling soap container so that we could make the remote control tomorrow. Editor’s Note: eScience members have full access the Fruit Battery project. I really love math, and I do well teaching reading, writing and history, but I have utterly failed when it comes to teaching science. We have been, up to this point, totally lacking in this area within our homeschooling endeavor. I love and appreciate that you use every day and inexpensive items to show children principles in science. It really has helped me feel more comfortable with teaching science to my children. “Science is one of the subjects that we homeschool moms can love to hate. It’s not the reading a textbook that’s the problem, it’s usually the hands-on part that can be overwhelming. Also, when you get into topics like physics and chemistry, well, let’s just say it can be a bit intimidating to try to explain something you don’t totally understand yourself. “Super Charged Science takes away all the excuses and makes science come alive for students of all ages. Written and designed by Aurora Lipper, a former engineering professor and NASA scientist, this amazing program takes what can be difficult material and breaks it down into fun, bite-sized pieces. Best of all, everything is accessed online, and all your children can learn together. The eScience online program is for grades K – 12, though after reading through the units, those who will benefit most will be kids in grades 2 – 12. Of course, younger children will love watching and learning with their siblings, but much of the material will be a bit over their head and reading level. “Aurora has really put a lot of thought into how science is best taught to children, and how she can best help busy parents to get the most from this curriculum. There are currently 11 units primarily covering physical science and chemistry, with more in development. Each unit will take between 1 and 3 weeks depending on your own scheduling and the number of activities you and your child decide to do. When you are logged in to the site, you can click on the syllabus and see all the unit topics on one page. Then, you just follow the steps: read/ print the lesson plan (includes lesson objectives and overview for the parent), print the list of materials, watch the intro video, choose the experiments you’d like to do, students then read the text (either online or printed), and then the written material/quizzes. My favorite part is the great experiment and activity choices. First, everything is explained very well, but best of all, you and your children can watch Aurora explain and do the experiment on video. So, even if you don’t have everything you need, or perhaps decide the activity is too difficult for your child, they can still benefit from watching it. “Aurora’s passion for science and for teaching is contagious! Even the most reluctant learner is sure to get excited about science. Since the curriculum applies to students all the way through high school, some of the experiments and concepts are definitely more challenging. “Of course, as the teacher, you will be choosing what parts to use. “Also, they have provided a challenging text to download for older students to read as part of each unit. Users of the eScience program from Super Charged Science pay a monthly access fee of either $37 (K -8) or $57 (K – 12). The depth and breadth of this program, along with the over 600 experiments and video instruction definitely justify the price, especially if you have more than one student using the curriculum. The site is packed with lots of extras including math help, a prerecorded teleclass for each lesson, and science fair project ideas. With the way it is organized, older children should be able to study with Aurora on their own, with minimal help from mom. Click here to view MORE FEEDBACK!